Breed some interesting genetics into your flock. 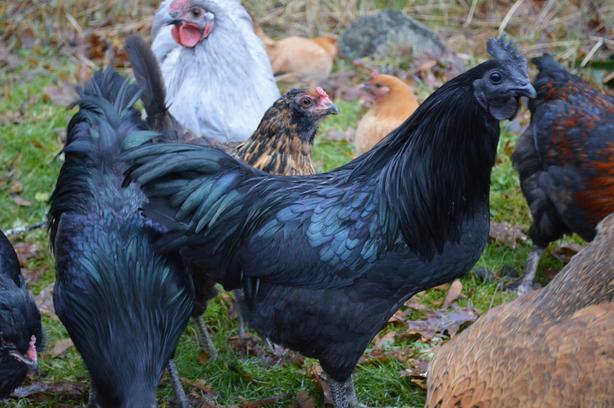 Have 2 svart hona(all black), 1 lavender orphington and 1 marans(very dark brown eggs). They were hatched last summer, eggs from greendale heritage farm. They are just figuring out how to crow.